For years you paid your taxes and satisfied all disclosure or reporting obligations – or so you thought. Or perhaps you have been deliberately understating your tax filings. The U.S. Tax Code is complex and cannot be fully understood without careful study and consideration. However, the complexity of the code itself is merely a starting point. A full and thorough understanding of all obligations can only be understood after a meticulous reading of case law, IRS polies and guidance, and other secondary sources. As such, many taxpayers come to rely on the advice and guidance of tax professionals. However, despite the taxpayer’s reliance, it is the taxpayer who remains responsible or civilly and criminally liable for any willful misstatement or omission that may appear in his or her tax filing history. Note: There is no statute of limitations on tax fraud and a current action, such as lying to a federal agent, regarding a prior tax return can re-open a new six year statute of limitations. Furthermore, consider that tax returns are filed under the penalty of perjury. When a taxpayer finally discovers that he or she has failed to live up to certain obligations, he or she may face years of non-compliance resulting in significant penalties, interest, fines, and – depending on conduct – the potential for a criminal tax investigation and criminal tax penalties. Exposure to criminal penalties in particular can lead to overwhelming feels of fear, anxiety, and consequently to sleepless nights. However, taxpayers facing seemingly difficult or impossible tax situations do have options provided that they act proactively and do not wait until the IRS is knocking at their door. By utilizing an attorney to in essence “admit” to previous undiscovered tax fraud (or noncompliance that might be misunderstood as tax fraud) a deal can be struck with the IRS where the past fraudulent / non-compliant filings receive a pass on criminal prosecution in exchange for the taxpayer voluntarily reporting and correcting five years of past returns. If the IRS Hasn’t Noticed My Tax Non-Compliance in Years Past, Why Would They Notice it Now? A formerly happily married husband and wife decide to divorce. One of the ex-spouses hires a forensic accountant for purposes of the divorce proceedings. The forensic accountant discovers tax fraud by the other spouse. With this information, the former husband or wife threatens to disclose this information to the IRS and trigger a criminal investigation in an attempt to extort a large divorce settlement. The owner of a rapidly growing business discloses a second set of books to a potential buyer. The potential buyer threatens that he or she will disclose the second set of books to the IRS and relevant state agencies in order to leverage a lower acquisition price. The owner of a company is selected for an audit by state regulators. The owner fears that the federal acts of fraud or other wrong-doing will be uncovered. The above represents only a handful of the possible scenarios through which a taxpayer’s wrongdoing may be uncovered and lead to a criminal investigation and charges. A properly filed and legally sufficient Voluntary Disclosures made to the IRS can provide a taxpayer with a level of protection against criminal charges relating to his or her disclosed non-compliance. In other words, the taxpayer will not be recommend for criminal prosecution. In the interests of the efficient administration of the tax system, the IRS has long held that taxpayers who come forward voluntarily, make a full and complete disclosure, and agree to pay a penalty can avoid criminal penalties including prison. However, the type of disclosure that should be made should be dependent on the taxpayer’s risk. Warning: A voluntary disclosure should never be attempted without the guidance of experience criminal tax defense counsel and the use of a Kovel Accountant to protect the client’s constitutional rights, attorney client privilege and the attorneys work product! Consider that the U.S. tax system relies heavily, at least initially, on self-reporting by taxpayers (self-assessment). If the system was not initially based on self-assessment, the current levels of IRS staffing would make the tax system unworkable. In order to further encourage taxpayer compliance, even after a period of purposeful compliance failures, the IRS has held a policy conferring certain benefits on individuals who voluntarily come forward, fully disclose their past acts or omissions of non-compliance, file accurate returns for the affected years still open to criminal statue (generally 5 years), and who makes a full payment or enters into an approved payment plan. Provided that the disclosure is voluntary, complete, accurate, and legally sufficient the IRS has a policy of refraining from recommending these taxpayers for criminal prosecution. When Can I Make a Voluntary Disclosure? As such, time is of the essence when considering a Voluntary Disclosure. However, taxpayers should not be hasty in their decision to file for Voluntary Disclosure because there are certain circumstances, such as illegal source income, where such disclosures are ineffective. Further, taxpayers must engage in a careful analysis of their behaviors and circumstances and how they may be interpreted by an IRS examiner. Finally, taxpayers should also consider as to whether a “noisy” or “quiet” disclosure is more appropriate for their tax situation. A voluntary disclosure is a noisy disclosure because the criminal investigation division is contacted at the outset of the process. A quiet disclosure would merely involve filing 5 years of amended returns with the client’s normal service center. The advantage of this method is that the taxpayer may escape the costs and stress of submitting to an audit that ordinarily follows a loud voluntary disclosure. The disadvantage is that a quiet disclosure could be viewed as an admission of guilt without the expected pass on criminal prosecution that follows a loud disclosure. Again, the critical decision to go loud or quiet should not be made without experienced criminal tax defense counsel. 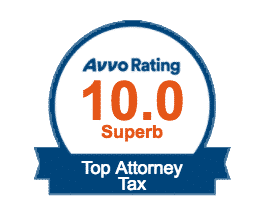 The experienced and dedicated tax attorneys and Kovel CPAs of the Tax Law Offices of David W. Klasing can help concerned taxpayers understand their options. Once we have explained the process and the potential opportunities to mitigate the situation to the taxpayer, our experienced tax attorneys can handle every step of the process. To schedule a reduced-rate consultation with an experienced tax lawyer call us at 800-681-1295 today or contact the firm online.